​We are a community that follows Jesus. Discipleship is a lifestyle of following Jesus. Discipleship undergirds everything we do at St. Mary’s. It’s a simple focus, yes, but it’s the one focus that powered the early church’s incredible growth and fruit in that hostile Roman world. We don’t do consumeristic Christianity. Through Bible studies, teaching, preaching, and hands on ministry we do discipleship. Through expository preaching we try to help people understand what God is saying in the Bible and how to apply it to real life situations. We offer three Bible studies a week. Each Bible study works through the scriptures very slowly to get the most meaning possible out of God’s word. Our 10:30 Tuesday Ladies Bible Study is followed by lunch. Twice a year we offer Alpha. 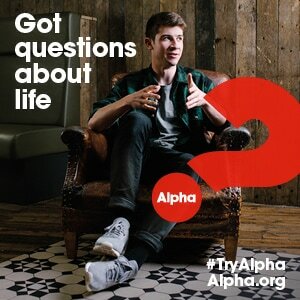 Alpha is a course currently being taught in 60,000 churches which looks at basic questions about life from a Christian point of view. Other programs we’ve offered include, Experiencing God, Nehemiah by Pastor Jack Hayford, The Truth Project and more. 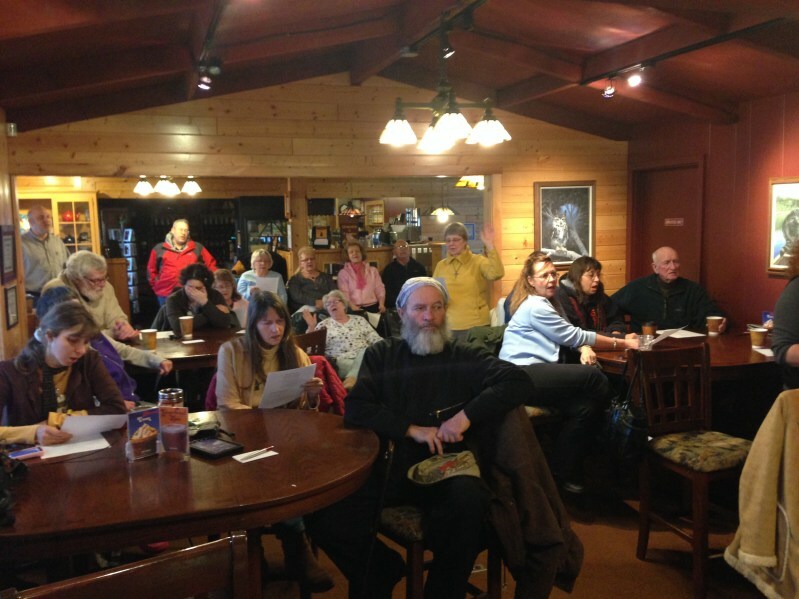 At St. Mary’s we really believe that discipleship needs to involve not just listening or viewing, but doing. Because of the many ministries being conducted by our Rock Mission Center members have many opportunities to take the gospel to the streets and to share the love of Christ by serving others “Outside The Walls” of our church building. In Matthew 25 Jesus talks about recognizing His followers because they fed the hungry, clothed, the naked, welcomed strangers, and visited the sick and the prisoners. Members of St. Mary’s grow by having the opportunity to minister to people in these and countless other ways. ​​St. Mary of the Snows is a church with a rich history dating to 1898 in Eagle River. With a new and larger building purchased in 2013 we have a new energy and an expanded focus. We are called to be a real and tangible blessing to our community. We’re not another church for the sake of ourselves or for the sake of churchgoers. We are a church for the sake of others. 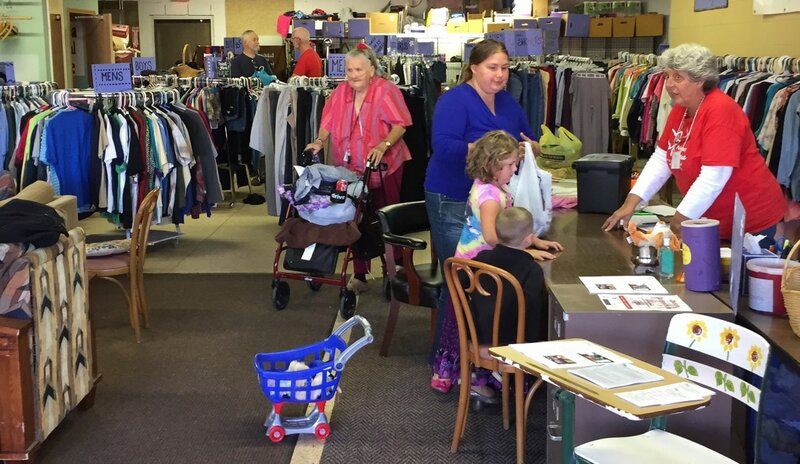 Pictured is the Needs Ministry which provides free clothing, paper products, toiletries and other items to over 650 people monthly. 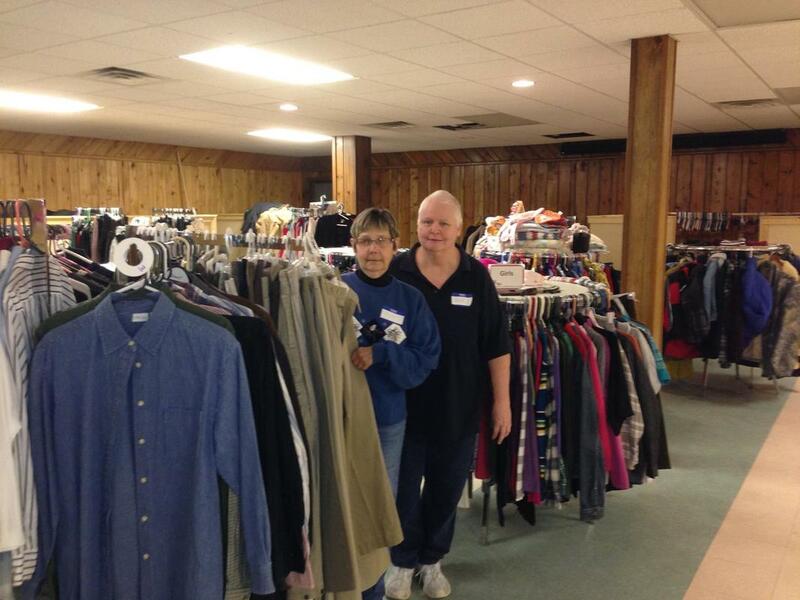 The Needs Ministry is run by Northwoods Share which is an organization of 7 area churches, and local businesses and organizations. Being mission-driven means we reach out to the world around us instead of hoping to drag in the world (outreach instead of in-drag). Like missionaries, we are “sent” to greater Eagle River in order to share the good news of what Jesus has done and wants to do in all of our lives, our city, and our world.